After an exhausting day yesterday cooking I had already decided that I would sleep in a bit this morning, and I did. I woke up with every intention to unload my ovens so that they wouldn’t be riding around in the back of my truck all week. I do have another cookout this Saturday and there is no way I would allow those ovens to ride in the back of my truck and risk them getting damaged. After lunch I did eventually get off my rear end and unload the ovens from the truck. I must have gotten a spark of energy because after I unloaded the truck I retrieved my pressure washer and cleaned not only my side walk but my driveway as well. That took several tanks of gas and several hours to do. I’m not exactly sure what got into me. I was close to being too dark to see anything but I did manage to finish. I did manage to get some rest today but I also got some stuff done that needed to get done. My wife want’s to have people over this Saturday to celebrate my daughter’s birthday so I’ve got to get some yard work done this week. It’s going to be tight but I think I can swing it. I don’t mind yard work. In fact, I really enjoy it especially when you work several hours and after you’re done you can actually see that you’ve accomplished something. I had plans on doing a ride today but because I was on my feet for several hours my feet swelled so much that I couldn’t get my cycle shoes on. So, I opted to do some yard work. 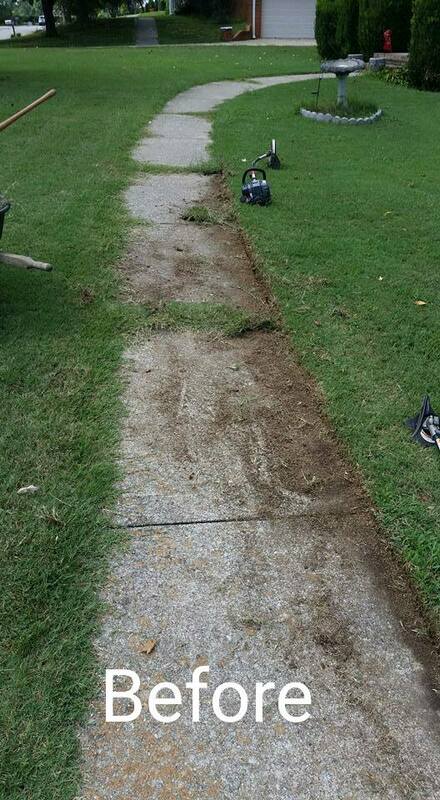 It’s been a while since I’ve done the edging. 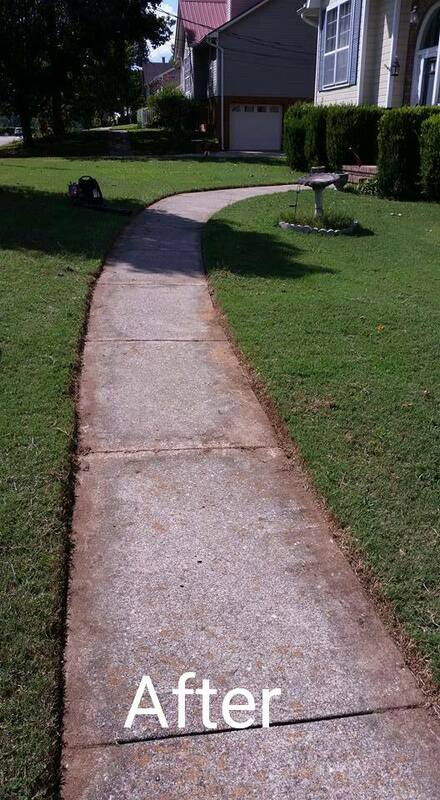 My wife likes to cut the grass so I let her but as you can see the grass has started growing over the sidewalk. I’ve been so busy as of late and I just haven’t had the time to get to it. We won’t discuss the condition of my backyard. I’m waiting for the cooler weather to let everything go dormant so that I can see where I’m stepping. After the trimming was done I even spent some time cleaning a propane gas grill. The scouts had let this thing get so nasty that I had to use Easy Off and then a pressure washer to get the thing cleaned. I even spent the time testing it out just to make sure the grill would light up. It did. I am physically and mentally tired tonight. The last two mornings I’ve been getting up at 3am to be ready to leave the office by 5am. Getting to my destination hasn’t been a problem as much as the commute back to the office at the end of the day. I’ve been so tired that even if my feet were not throbbing with the Neuropathy I would have been too tired to ride my bicycle. I’m going to try to do some much needed yard work tomorrow before it gets to hot to be outside and if my feet feel like it I may try and get some much needed mileage in.